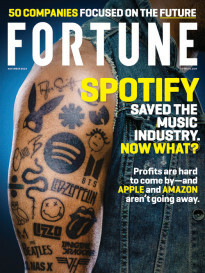 FORTUNE — Anyone who’s read at any length about the new, digitally-based music business paradigm knows that it’s entirely possible for an artist or group to make a living in a post-label world where album sales are no longer the industry-sustaining cash cow they once were. According to a vast number of trend pieces, all you need is a robust social network of fans, a killer marketing concept, and a Kickstarter campaign to become the next Amanda Palmer, who last year raised over a million dollars from her fans that funded a self-released album, Theatre is Evil, that made it to number 10 on the Billboard 200 chart. Shoutabl, currently in beta, is Donovan and Morrison’s attempt to apply the digital strategies they learned while working at the Huffington Post toward solving self-marketing for the Neil Youngs of the world. The platform allows users without programming skills to assemble customizable websites that can host content from musicians’ social networking accounts and a basic built-in blogging setup, as well as offering a simple way to push content back out through those same accounts, as well as serving media hosted on sites like YouTube (GOOG) and SoundCloud. , their first new album in 12 years, in October. Shoutabl is a direct reflection of his experience in the new independent music business. As well as pulling together assorted “B-plus products” into one platform, Shoutabl also adds in services with the potential to produce the online equivalent of music scenes which in the past have been defined largely by geographical proximity. 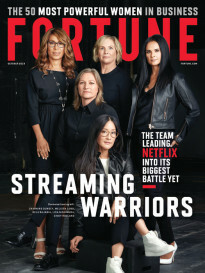 “Artists are becoming more business-independent,” Morrison says, “but they don’t want to be on their own culturally, they don’t want to be on their own socially.” Musicians can not only find and connect with each other in the way that SoundCloud does (and MySpace once did), they can also combine resources and promote each other. For instance, the Dismemberment Plan has a Shoutabl page, Morrison has one for his solo work and another for his other band, the Burlies, and assorted members of both groups have their own projects. Shoutabl lets each of them “exploit the Venn diagram” (as Morrison says) of their overlapping fan bases. With their permission, the Dismemberment Plan can, for instance, push blog content announcing Uncanney Valley’s release date to the pages of each act associated with them. Bands also can use an advertising system baked into the platform to serve targeted ads on each others’ pages. Donovan calls it the digital version of someone onstage telling the audience to check out their friend’s upcoming show, a way to magnify the scope of a marketing campaign while maintaining an organic sense of community. Combined with the ability to sell merchandise through Shoutabl pages, it can provide an easy way to monetize their work that few platforms can match. Eventually Donovan and Morrison would even like to see networks of musicians using the platform to launch collective fundraising efforts, for instance to underwrite the launch of a record label. The ultimate goal of Shoutabl is essentially to empower musicians with the skills of an advertising or marketing professional, without them actually having to learn those skills, and to allow the ones who weren’t born with innate gifts for self-publicity to concentrate their energy on simply making music.